I should really get on with Inquisitor Concorde - the mini is primed and ready - but feel more like painting something a bit more quick and dirty. Look stunted. I like. Give'em beards! Sweet stuff. Saw you guys last week at Warhammer World; I was one of the goons on the College of Artisans course. I had a good, if nervous, gawp at all your stuff. Mind thoroughly blown! Cheers mate! We were all completely baffled at the amassed awsomeness at that table. Not to mention the fantastic table John had painted in just a few days. I´ll post my pics from the game soon! Really nice looking models all around. The gunfighter looks great; perfectly posed. The barrel swaps on the pistols also do a good job of making the guns look unique. The guy with the banner is cool looking too. Those plaguebearer heads work great on so many models! 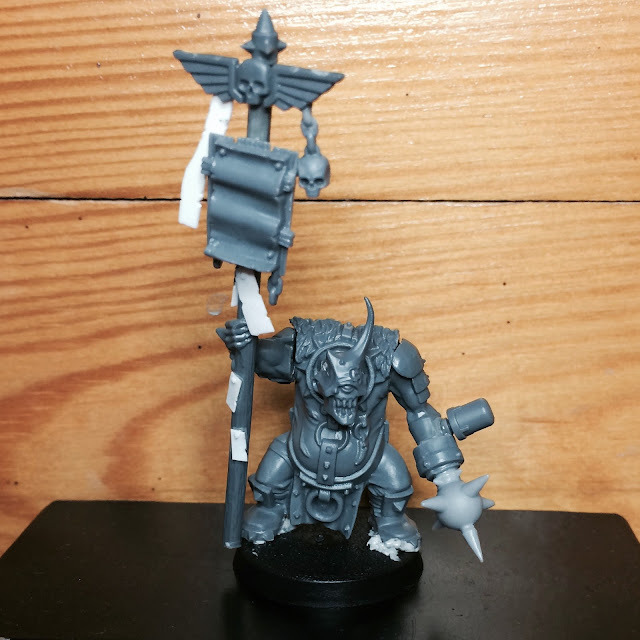 Any thoughts on modifying the direction of some of the chains on his banner to make them look like they are freely hanging (mainly the small ones on the wooden board)? Just had a thought, have you ever considered adding a bionic eye to a plague bearer's head? Would look pretty sweet I think with some cabling running down the sides of the head. Cheers Ed! The banner top will indeed be nurgelised. It´s a work in progress don´cha know. Bionic eye could look pretty cool - great suggestion! I'm kinda missing your Orks Jeff! Really like your realistic take on them, something I strive for myself. Will we be seeing more or where the flash gitz a one-off? I´ve got lots of nob and flash git bitz left so there´ll definitely be more of them. 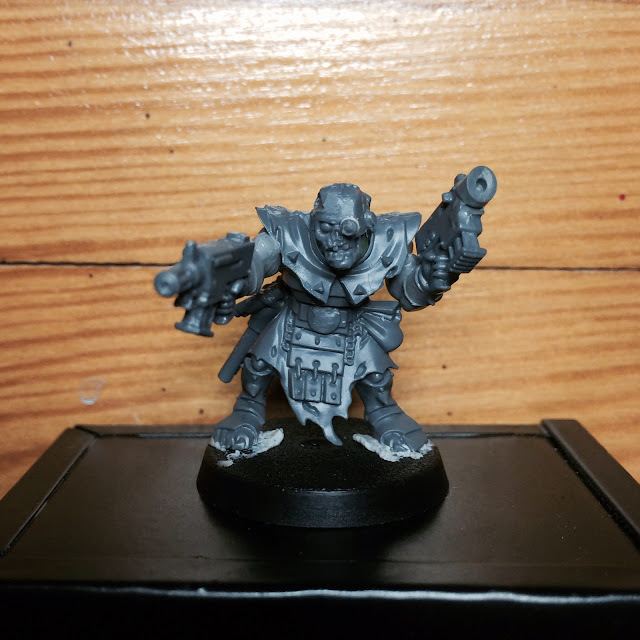 Plus I´ve got a few finished conversions that just need some paint. I´ll get back to them, don´t you worry. Pretty much one of the best Blogs I found recently, especially when it comes to converting, keep up the great work! One question though, the sigils you made on many of your models, are they made of plastikcard or what did you use for them?